Obituary – Feemster, Bonnie Jean (Harrah) « Perry High School Alumni Association, Inc.
Red Hots 55-57; Library Staff 55-58. 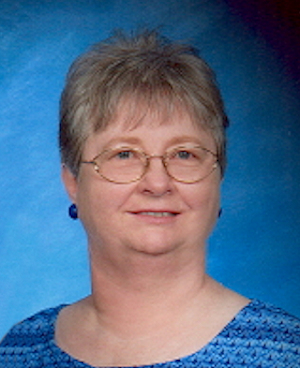 Bonnie Jean Feemster, 67, of Arkansas City, died Monday February 4, 2008 at the Kansas Medical Center of Andover. A Celebration of Life is scheduled for 3:00 p.m. Saturday February 9, 2008 at Mount Zion Community Church near Arkansas City. Cremation has been effected. Bonnie’s last request was for friends and family to wear bright clothing and to join in the celebration of her 67 years. Bonnie was born April 4, 1940, in Nowata, Oklahoma, to Theodore E. Sr., and Helene K Lovecamp Harrah. 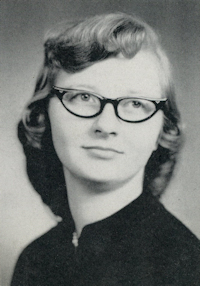 She was reared and educated in Perry, Oklahoma, graduating from Perry High School in 1958. She later attended business college in Enid. She married Arthur Feemster on April 27, 1963 in Perry. She worked for five years for Metropolitan Life Insurance Company and then for several years at Foley’s Department Store in Oklahoma City. She was also a homemaker and loved the time she spent with her children and their friends. The couple moved to Arkansas City in 2002. She was a member of the Mount Zion Community Church. She enjoyed serving her church, school library in Albuquerque, reading, and her grandchildren. Survivors include her husband Arthur of the home; a daughter Melinda Cathryn Feemster; a son Mark Kevin Feemster both of Arkansas City; mother Helene Harrah of Vinita, Oklahoma; one brother, Alan and his wife Cheryl of Vinita; a sister Kathleen and her husband Don Gray of Vinita; three grandchildren Elizabeth and Lance Chrisman; and Lori Feemster and two great-grandchildren. She was preceded in death by her father, and a brother Theodore E. Harrah, Jr.
A memorial has been established with the Mount Zion Community Church Expansion Fund, which may made through the funeral home or the giver may give to the charity of their choice in Bonnie’s name. Arrangements are being made through the Rindt-Erdman Funeral Home of Arkansas City.